Products to clean your leather and suede. 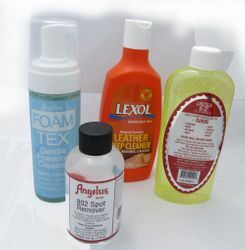 Different products for different applications. We do try to describe the uses for each product. If you have question you can always call.